Calendula, due to its medicinal properties, often used in folk medicine. It has anti-inflammatory, antibacterial, wound healing, antipruritic and analgesic action. Brewing method of the inflorescences of calendula for the treatment of various diseases different from each other. In allergic diseases 1 dessert spoon of inflorescences calendula pour ½ Cup of boiling water, cover and leave to infuse for one hour. Strain the infusion and take 1 tablespoon 3 times a day. 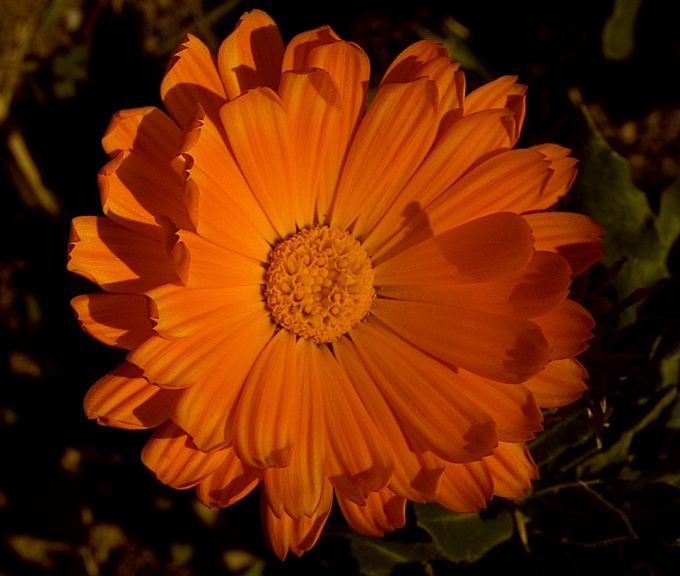 Angina calendula is used for gargling. To prepare the solution for rinsing 1 tablespoon of inflorescences pour 1 Cup of boiling water, cover the container with a lid and wrap from all sides with a warm cloth for an hour. Strain the infusion and rinse your mouth every 3 hours. For the treatment of arrhythmia take a dessert spoon of inflorescences calendula, pour two cups of boiling water and steep for an hour. Strain the resulting infusion to cool and drink ½ Cup three times a day. When cold and 1 teaspoon of calendula pour 1 Cup boiling water, leave the mixture for an hour to draw. Strain the solution, dilute with warm water at a ratio of twice and use to rinse the nose. For the treatment of periodontal disease infuse the calendula in the following way: 2 teaspoons of inflorescences pour a glass of boiling water and let the mixture steep for two hours. Strain and rinse your mouth with infusion three times a day. For the treatment of inflammatory and fungal infections of the skin, contusions and hematomas 10-15 inflorescences pour a glass of boiling water and cover for 2 hours. Strain the infusion, moisten them with a gauze pad and apply to the affected areas of skin. For the treatment of colitis inflorescences calendula brew along with BlackBerry leaves blue-gray. Mix the blossoms and grass in a ratio 1 to 2, 4 teaspoons of the mixture brew Cup of boiling water. Take ¾ Cup of infusion 3 times a day before meals. When canker sores (small ulcers in mouth) tablespoon of inflorescences calendula pour a Cup of boiling water and boil for 8-10 minutes. The resulting broth is cool, strain and rinse their mouths every few times a day. You can also prepare an infusion, for this 1,5 tablespoons of calendula pour a Cup of boiling water, strain, dilute with boiled water 2 times and use to rinse the mouth. 1 tablespoon = 3 tea spoon = 15 grams.